Noida: “Healthy citizen means Healthy Nation. Universal health coverage is WHO’s number one goal. 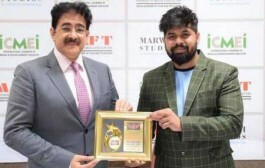 Key to achieving it is ensuring that everyone can obtain the care they need, when they need it, right in the heart of the community,” said Dr. Sandeep Marwah President of Marwah Studios while talking to the media persons on the occasion of World Health Day at Noida Film City. 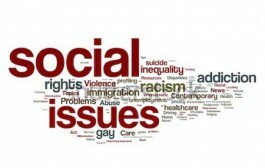 “Progress is being made in countries in all regions of the world. But millions of people still have no access at all to health care. 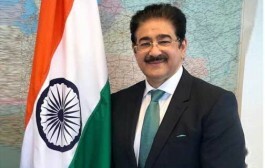 Millions more are forced to choose between health care and other daily expenses such as food, clothing and even a home,” added Dr. Marwah who is also Ambassador of International Human Rights Organization affiliated to United Nations and Patron to IFUNA- Indian Federation of United Nations Associations. This is why WHO is focusing on universal health coverage for this year’s World Health Day, on 7 April. 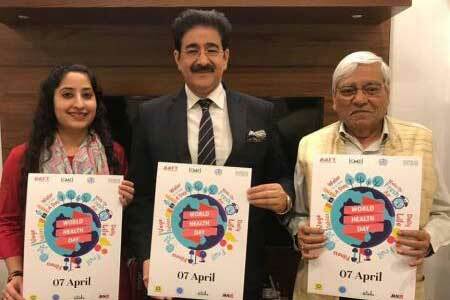 Sandeep Marwah launched a poster to high light the health issues in India.